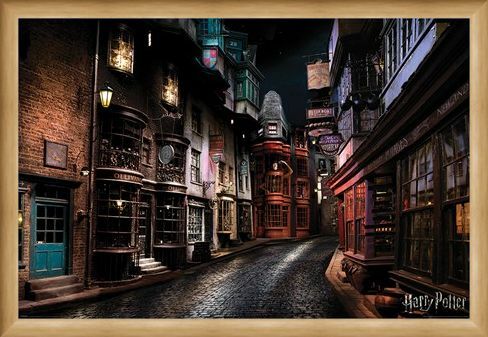 Top up your potions ingredients with a trip to the apothecary, before heading to Fortescue's Ice Cream Parlour for a giant strawberry and peanut butter cone... just make sure to collect your money from the towering, white marble wizard's bank first! 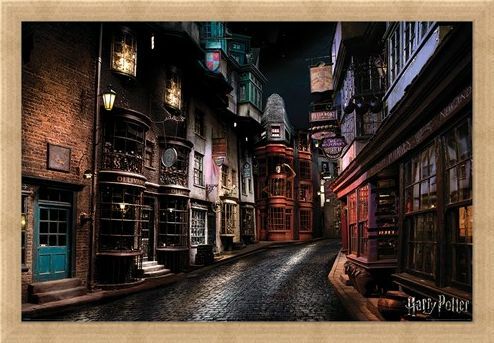 Filled with fascinating store fronts and intriguing characters at every angle, this busy, bustling street is the one stop shop for any witch or wizard! 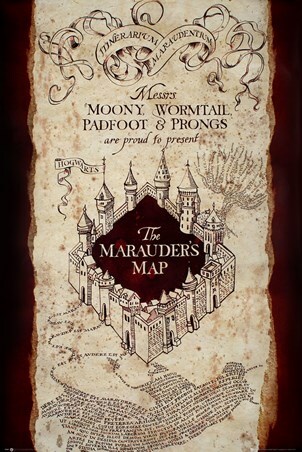 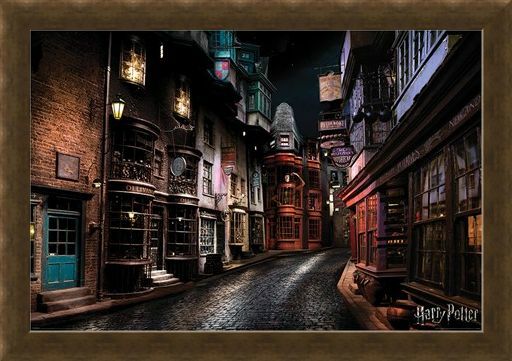 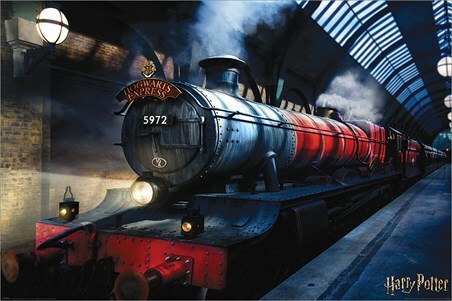 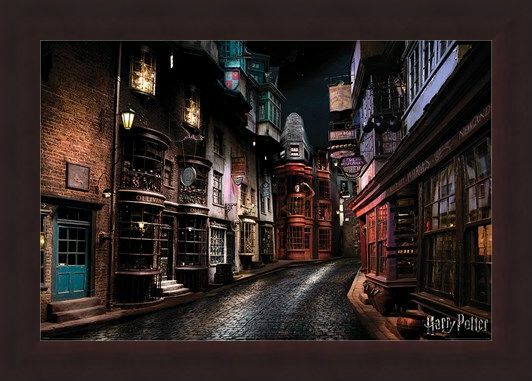 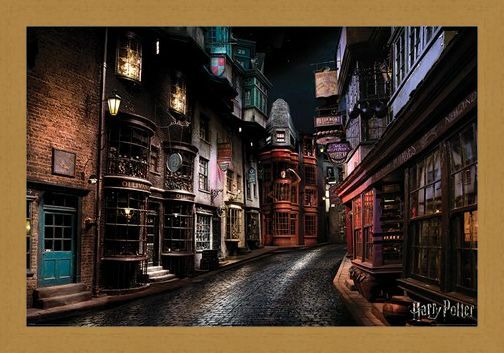 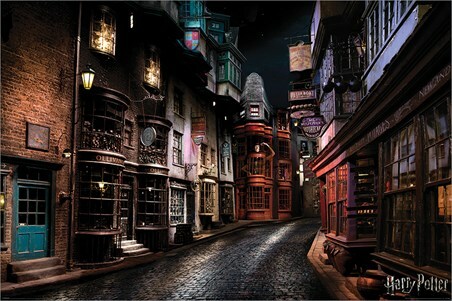 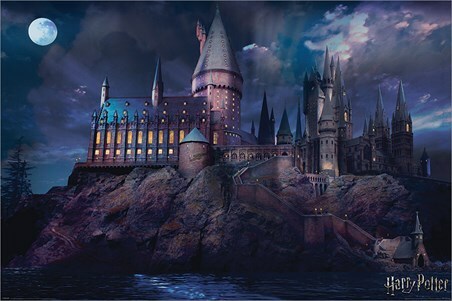 So whether you're a muggle desperate for a sneak peak into this magical place or a frequent visitor to Diagon Alley, this spectacular poster from Harry Potter is the perfect burst of magic to decorate those drab and dreary walls. 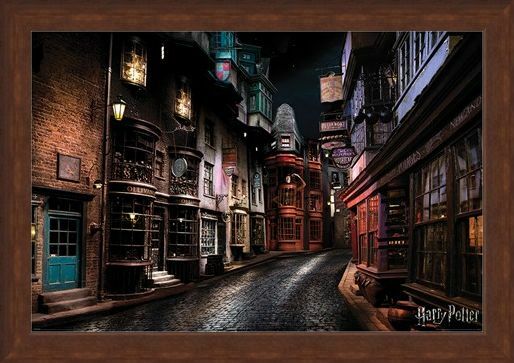 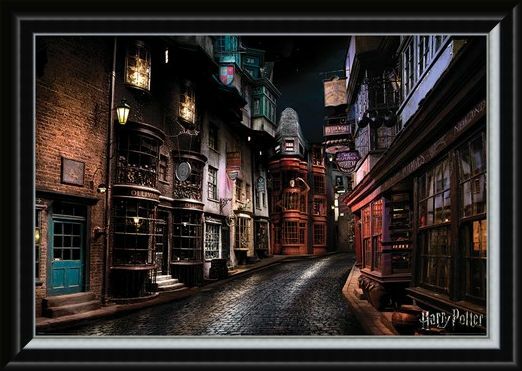 High quality, framed Diagon Alley, Harry Potter poster with a bespoke frame by our custom framing service.